3. The website and its contents are owned or licensed by the website owner. Material contained on the website must be presumed to be proprietary and copyrighted. Visitors have no rights whatsoever in the site content. Use of website content for any reason is unlawful unless it is done with express contract or permission of the website. 4. Disclaimer for contents of site: we have tried our best to provide you accurate information but still the website disclaims any responsibility for the accuracy of the content of this website. Visitors assume the all risk of viewing, reading, using, or relying upon this information. Unless you have otherwise formed an express contract to the contrary with the website, you have no right to rely on any information contained herein as accurate. The website makes no such warranty. 6. Disclaimer for harm caused by downloads: Visitor downloads information from this site at his own risk. Website makes no warranty that downloads is free of corrupting computer codes, including, but not limited to, viruses and worms at is inadvertently passed to the visitor's computer. Again, visitor views and interacts with this site, or banners or pop-ups or advertising displayed thereon, at his own risk. 7. Diamonds Certificates: When purchasing a loose diamond, it may accompanied by a diamond grading report. This report contains detailed information specifically for your diamond. It helps you maintain your diamonds authenticity and value. We require that this certificate be included with every product that you may need to return to Kreeli Failure to return your diamond with its respective diamond grading report will not be accepted. Please review our Return Policy for further information. Any dispute regarding certificates please contact certificate issuing Authority. Information which you provided to us during your sign up as a free account with us, which may include some of or all data such as your personal ID, address, phone number, email address, gender, DOB, DOA etc. Also your personal information is required once you place the order to www.kreeli.com to ship safe product at your door step. To continually improve our products and services offerings, we may use your financial information such as your banking details and any information relating to your income and lifestyle levels. etc. We need to share your name and address shipping and Assurance Company or third party or other for shipping and insurance purpose. We are trying to issue minimum required personal data to them. We are not responsible for the misuse of the information by them. We do not for any reason whatsoever sell your Personal Information to any third party or otherwise trade on it. We identify and use your IP address to help diagnose problems with our server, and to administer our website. Your IP address is also used to help identify you and to gather broad demographic information. www.kreeli.com places both permanent and temporary cookies in your computer's hard drive. We always try that www.kreeli.com’s cookies do not contain any of your personal information. To protect the loss, misuse, and alteration of the information under our control we have stringent security measures while you enter our site. We offer you a secure server while you login or register or change your account information. Once your information is in our possession we adhere to strict security guidelines, protecting it against unauthorized access. www.kreeli.com on every occasion have offers and new collection to share with its patrons. We have regular mailers going to our existing and subscribed customers. If you are one of those and you wish to be removed from the Newsletter Subscribtion email us with "Remove" in the subject line or send us a detailed message about how would you like to receive the email on customerdelight@kreeli.com. 1) Conformation of the order is subjected to the availability of the product. 2) Once you have placed an order it will not be changed but may cancel if shipment has not been done. 3) In case wire transfer payment, your payment must reach to us within 3 working days after order is confirmed by us. We may cancel your order in case of payment delay. 1) 30 days money back policy : we want you to be satisfied and confident with your purchase with us. for any good reason, you decide not to keep the product, we will accept it back in its original condition no question asked. 2) To avail this facility you must inform us within 2 business days from the date of receipt of the product and return it within 15 business days for a refund from the date of receipt. Please contact our customer service centre for further information. 3) Packaging: Include all original packaging and materials. If your item comes with a diamond you must include the certificate with your return, or you may be liable for the cost of certification and cost associated with it. 4) Insure the package: All items being sent back to Kreeli MUST be insured. We are not responsible for items lost or damaged while shipping. You may use any carrier of your choice to send back your item. 5) Our simplified Refund process: Once your returned item has been inspected by our trained staff, your refund will be promptly processed. Please note that items showing signs of wear or those that have been altered, engraved or damaged in any way cannot be accepted for return. We will refund the full cost of the item EXCLUDING handling and insurance charges. Refunds will be made using the mode of payment used in the original purchase. Please also note that Refund may not possible for any altered item or customized, message engrave items. Every product which gets shipped from www.Kreeli.com is insured door to door and cost free within India. If the ordered product is not received in a proper condition or if has any defect whatsoever, we would request you to return the package in its original condition, unused to claim a refund or an exchange. Also you will be required to notify us by a call or an email to our 24x7 customer care unit. Refund or Exchange will not be possible if you fail to do as stated. Product will be shipped strictly to the destination provided and approved by customer. It's the prior responsibility of the customer to check and update the shipping and billing information. We will follow the information with us for shipping and billing. Shipment will be made only after receiving full payment of the ordered product. 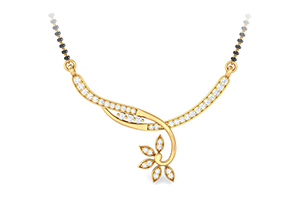 No shipping charges applicable if diamond or jewellery is collected personally from our affiliated offices. Title and risk of loss for all products ordered by you shall pass on to you upon Kreeli’s shipment to the shipping carrier. After placing an order on www.Kreeli.com, the customer has to make the payment 100% advance to initiate the process of manufacturing. If the customer is not comfortable paying the full amount at one go, he can pay 50% after making the order and the other half can be paid when the product is ready to be shipped. The payment can be made through a cheque, DD (Demand Draft), RTGS (Bank Transfer), through Debit or Credit Card or by cash at our office personally. Price excludes local taxes and duties etc if applicable. All prices mentioned on the site are in INR (Indian Rupees). 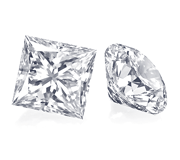 Diamonds on www.Kreeli.com are bought from genuine sources, companies who legislative source which strongly follow the rules and regulations in compliance with UN resolution. We have a zero tolerance policy toward conflict Diamonds which supports illegal Diamond trade. If you want us to send our product as a gift to your beloved, friend or relative, we will help you do that within India with the best quality gift packaging at no cost. We will leave your message or contact details so that the receiver knows whom does it comes from. You can have your bought product shipped to any part of the India as a gift. Your name will be revealed to the individual receiving the You will be required to give us to the complete details and your relation with them of the person you wish to send the gift. We cannot keep it a secret. Please note that we are not responsible in case of refusal or legal action taken by recipient or recipient family. In case of return of gift from them, the refund will be done to the payers account. If the address provided comes unavailable additional shipping charges are to the paid by the buyer before which the product will not be shipped from www.Kreeli.com. www.Kreeli.com offers the facility of repairing your diamond jewellery without any labor cost. In the process of repairing, any addition of gold or diamond is supposed to be done, the material value will be charged to the customer. Both ways shipping charges will be paid by the consumer. Any wear and tear during the repairing process will not be paid by www.Kreeli.com. 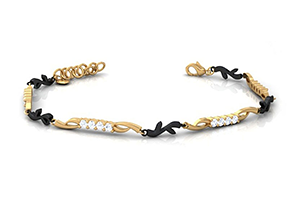 While repairing or resizing, the loss in the weight of gold is normal, which will not be paid by www.Kreeli.com. Your product looses the shine at times due to the dirt accumulated on it in your day today life. We will help you wash your product with no cost. Free..!! We offer this facility of repairing your diamond jewellery without any labor cost. Both ways shipping charges will be paid by the consumer. We dishonor any damage occurs during the repairing process. Please note that Loss of weight is possible as the dirt gets cleaned during the wash. 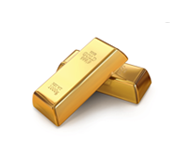 Hence we disclaim of customer demand of the exact weight of the gold if there is any loss in weight. All the users, readers, viewers and others please note that www.Kreeli.com or its any associates are not responsible for the content of any site linked to it or from the Site. Your linking to any other site is entirely at your own risk. The links are for your convenience only and should not be interpreted as an endorsement of the owner/sponsor of the site or the content of the site. Subject to the Non-Excludable Rights (above), www.Kreeli.com disclaims all warranties, express and implied, as to the accuracy, validity, legality or otherwise of any materials or information contained on such sites. www.Kreeli.com does not represent or endorse the accuracy, completeness or reliability of any advice, opinion, statement or other information displayed, uploaded or distributed through our web site. Kindly note that any reliance upon any such opinion, advice, statement or information shall be at your sole risk. www.Kreeli.com makes no warranty or representation whatsoever regarding the web site or any content, advertising services or products provided through or in connection with the web site. Content and projects described or depicted on the Site are subject to change without prior notice. Copyright may exist on any future videotapes, and other materials. The weight of gold displayed on the website is approximate. The actual product may come with a different weight (Increase or Decrease). Despite the difference in the weight of gold, the total price of the product will remain the same as quoted earlier. www.Kreeli.com wants her customers to know that the color of diamond and jewellery may vary as per the resolution of different monitors compared to the actual product. We just thought you must know this while buying any product online. If necessary, we may disclose provided information required doing so by law or in the good faith belief that such disclosure is reasonably necessary to respond to subpoenas, court orders, or other legal process. www.kreeli.com and its affiliates will share some or all of your personal information with another business entity should we plan to merge with, or be acquired by that business entity. These Terms and Conditions and your use of this site will be governed by and construed in accordance with the laws of Gujarat, applicable to agreements made and to be entirely performed within the Gujarat,India, without resort to its conflict of law provisions. You agree that any action at law or in equity arising out of or relating to these Terms and Conditions shall be filed only in the state courts located Surat, Gujarat and you hereby irrevocably and unconditionally consent and submit to the exclusive jurisdiction of such courts over any suit, action or proceeding arising out of your use of this site, any purchase from this site, or these Terms and Conditions.